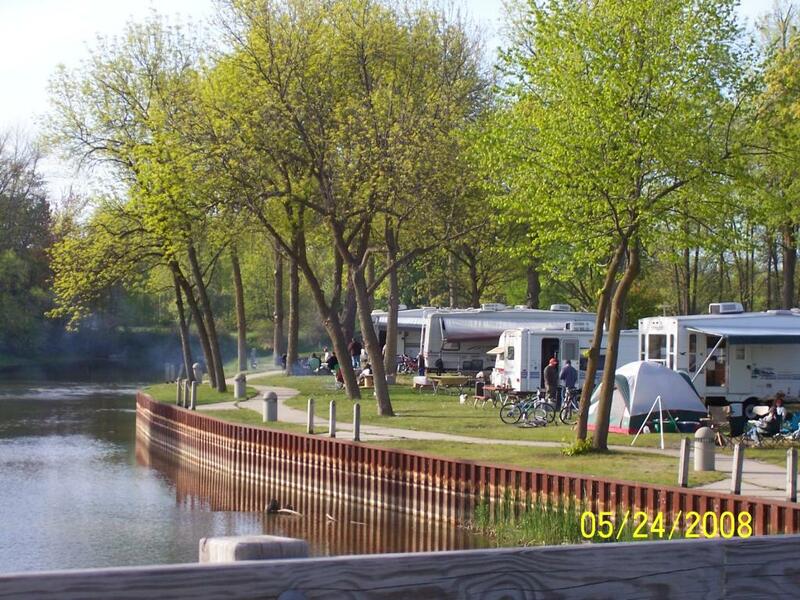 The Au Gres City Riverfront Campground Park is one of Michigan’s most popular family campgrounds. 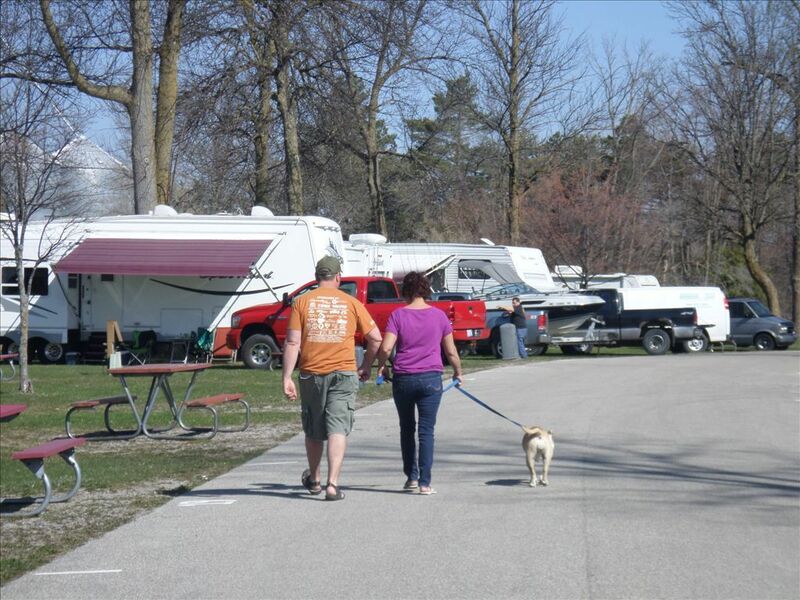 The park features a total of 109 campsites available for daily, weekly or monthly rental with choices of water, sewer, and electric. Within the park itself is the Lions Club Community Building which is available for daily rental and may be used by civic groups throughout Michigan for a meeting place at the park. The park features a family picnic and day use area with barbeque grills, playground equipment and restroom facilities. Also available within the park is a gazebo and a fish cleaning station. There is also a small boat launch which provides great access to Saginaw Bay and Lake Huron (via Au Gres River) for superb boating and fishing. With the waters of Saginaw Bay only a short distance from your camping space, fishing is a major activity in the area. And whether you prefer to participate from the Pt. Lookout Harbor of Refuge or from a boat, the fishing's great on Saginaw Bay. One of the top family fisheries is the bay's bountiful perch supply and a check with any of our personnel will provide you with a lead to the week's hot spot. Or, if your prefer, state plantings of walleye provide "big fish" thrills and there are fishing tournaments if you would like to participate. If you don't like fishing, we can offer you the use of three baseball fields, two lighted tennis courts, volleyball court, and three lighted basketball courts. Also, a nice stroll around the park on the lighted Riverfront walkway could lead you to a shuffleboard and a horseshoe pit available for your convenience. During the summer, an antique car cruise and show along with a craft show is held for your entertainment. Our outdoor activity isn't limited to the warm weather months either, and by taking advantage of the Au Gres Area to provide you with a base of operations for ice fishing, snowmobiling and other winter activities in Arenac County such as the Au Gres Chamber of Commerce Winterfest. Our most popular winter activities is cross country skiing, ice fishing, and snowmobiling. US 23 North to AuGres City, turn left (north) at Main Street, turn left (west) on Park Street.